I keep hoping that Hoya would add a Variable ND Filter to their pro line, but no such luck. After a discussion on Facebook last week, I decided to do some research. There are a couple companies that offer similar variable ND filters and the reviews (and blogs) have been very mixed. Finally, I found Light Craft Workshop and their Fader ND Mark II. Now this is a spectacular filter! Not only is the filter real optical quality, but it is designed for easy use. The back thread matches your lens. The front element is wider to prevent vignetting on even wide angle lenses. You can see the difference in the above photos. In my case, I purchased the 77mm to match most of my Canon L lenses while the front element is 82mm with thread.) The front element is also marked to keep track of the settings from 2 to 8 stops covering ND2, ND4, ND8 and ND400. The front element is easy to grip and has a very smooth movement which is suitable for even HD Video. 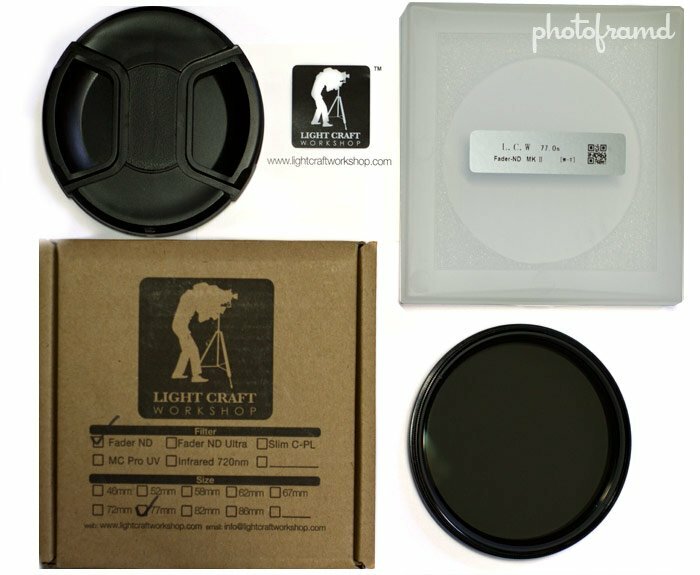 Each filter includes the plastic clamshell case and even a lens cap to fit the larger front element. You can order direct from Light Craft Workshop in Hong Kong or order from one of the authorized dealers worldwide. I purchased mine through their US distributor, faderndmarkii on ebay, and received it within a week from Los Angeles, CA. 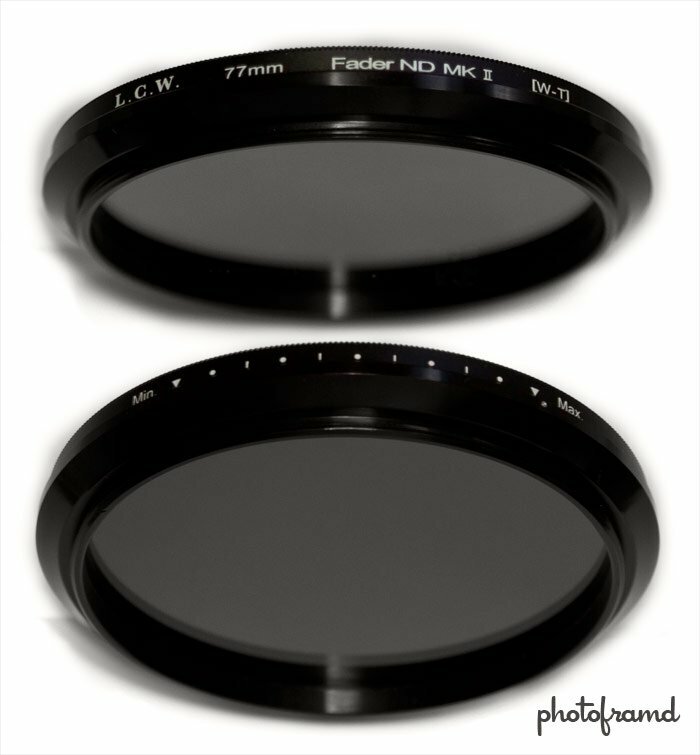 The 77mm Fader ND Mark II was only $125 w/free shipping. Other sizes are available and range from $60 to $192. You can also request expedited shipping at an additional fee. The biggest concern for an ND filter is its sharpness. Color can always be corrected but you are stuck with sharpness. What good is an filter if it impairs the lens optic quality? However, as I already said, this is a spectacular filter. To test the sharpness of the filter, I photographed an article out of the September 2010 issue of Shutterbug. These images were cropped but otherwise they have not been retouch or color corrected. The curve in the text is from the fold of the magazine. (And, sorry but I was too lazy to use a tripod. These photos were taken hand-held using the Canon 7D with the 24-70mm L lens.) The first photo was taken without the Fader ND attached. The second photo was taken with the filter set to Min (ND2) while the third photo was taken with the filter set to the middle dot (approx ND8). Taking a photo past the middle dot would have required a tripod. So how did it perform? Again, this is a spectacular filter! 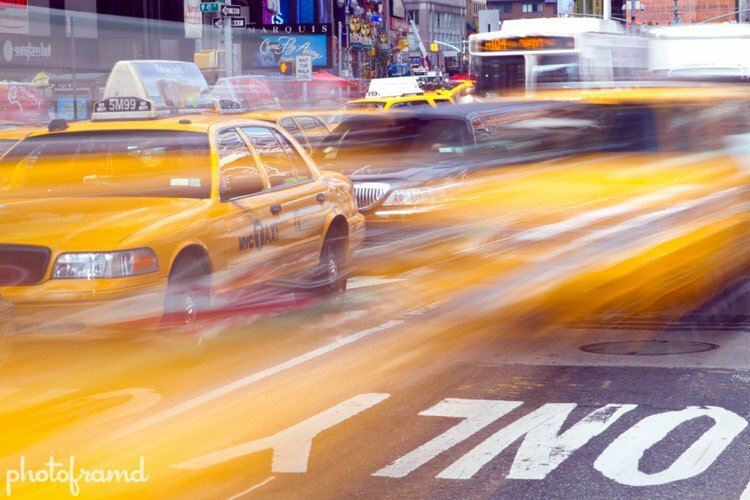 The first photo on this webpage was an 8-second exposure using f/22 and ISO200 with the Canon 7D with the 24-70mm L lens at 70mm. The filter was set on the 4th dot. But, this next photo was taken was a 13-second exposure with the filter set for ND400. All of the other settings were the same. 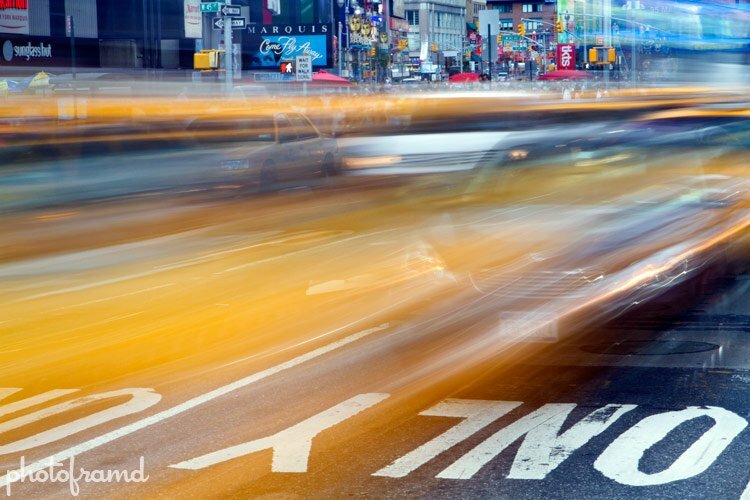 I was able to push for a 30-second exposure with mixed results. It seemed to be more of an issue with the Canon 7D than the filter. The preview image displayed a white image with no detail, but the 7D did record real data. The image was restorable in Camera Raw 6.1. Next up – using the Light Craft Workshop Fader ND Mark II for video. Very cool-thanks for the recommendation. I too want the Singh-Ray filter but I have kids to feed and I’m not about to spend $400 on a filter. I agree with you about their website too! I am very impressed with the quality of the Fader ND filter. The filter has found a permanent place in my camera bag. I am still experimenting with it and hope to do some additional articles on it soon.